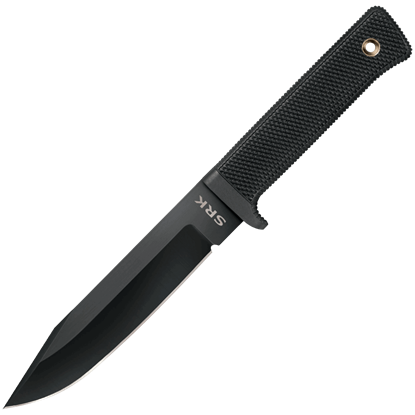 We now carry affordable and durable quality combat knives and tactical knives. Our combat knives are made by CAS Iberia, Cold Steel and Windlass. Choosing the best combat tactical knives to use could easily be the difference between your life and death. We help you make that choice easy by only carrying the best combat knives made. Selecting reliable combat tactical knives can be the key difference in many unpredictable situations that face each of us more and more everyday. Once you see and understand our combat tactical knives, you will feel more assured you are making the right decision. When you need a workhorse blade for processing deer or other game into manageable pieces for the freezer or grill, this 11 Inch Combat Cleaver Knife is an excellent choice. The nonreflective blade is also great for stealth maneuvers. Designed with the demands of survival and rescue operations in mind, the 3V SRK is a versatile knife able to withstand even the most extreme conditions. This is a tough multipurpose survival tool that you can trust your life with. Special service units have strict requirements for their tactical weapons. 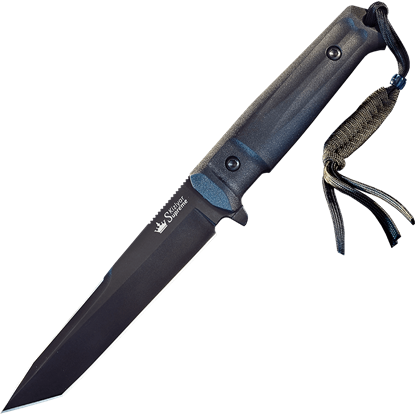 The Aggressor Black Tactical Knife surpasses these requirements, making it a reliable survival knife that is fit to withstand your most extreme situations. 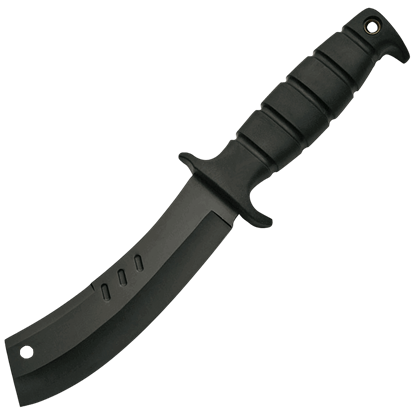 A perfect companion for todays modern military personnel, the AK-47 Field Knife is a strong and sturdy weapon that can stand up to any task. Tried and true, this is one knife that does not know the meaning of the word failure. A survival knife can mean the difference between life and death. 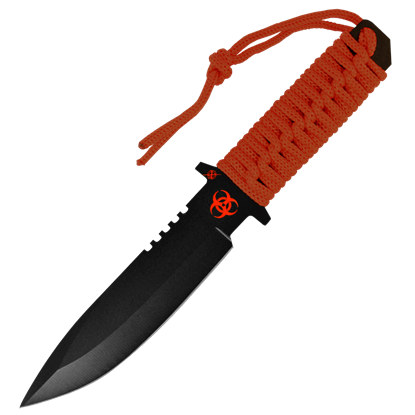 Whether you face the elements, enemies, or zombies, this Biohazard Low Profile Drop Point Combat Knife is an effective choice to help you handle all that you encounter. 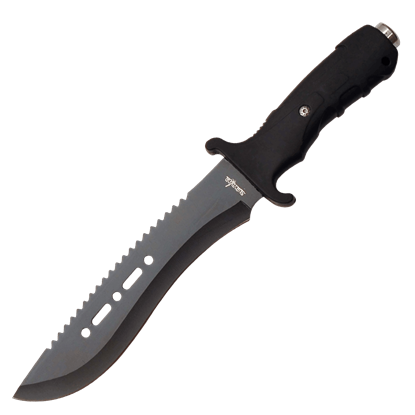 A solid combat knife is a must-have in a variety of survival situations. Good for defense, for camping tasks, and more, this Biohazard Low Profile Green Commando Combat Knife is made to serve well, no matter what task you put it to. 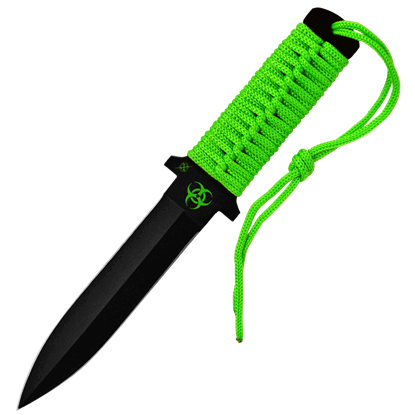 If one knife is not enough, then the Black and Green Paracord Survival Knife Set makes the perfect solution for your needs! These two knives are identical except in size, coming in overall lengths of 12 and 8 inches, respectively. 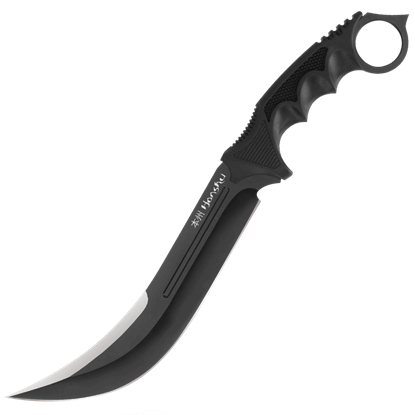 For fantastic comfort during close quarter combat, look no further than the Black Drop Point Knife. 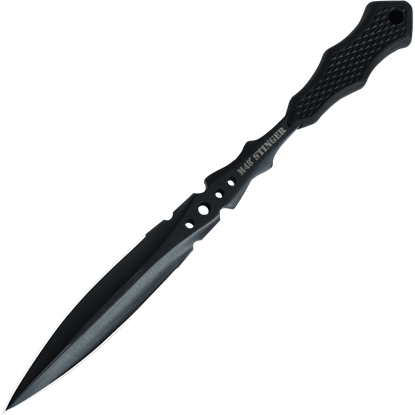 This knife features a distinctive grip, one that allows for considerable leverage, good for survival and self defense both. The Black Honshu Aizu Ring Fighter will be your first choice for stealth missions and other night operations. Grab you gear, your Intel, and this elegant blade so you are prepared to perform and task that needs to be done. More often than not, a survivor has to pick a knife without knowing what they are going to need out of it or how they will be using it. 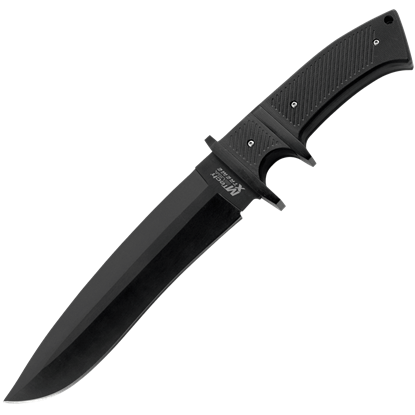 If that is the case, make sure to pick something reliable, like this Black Jungle Survivor Knife. 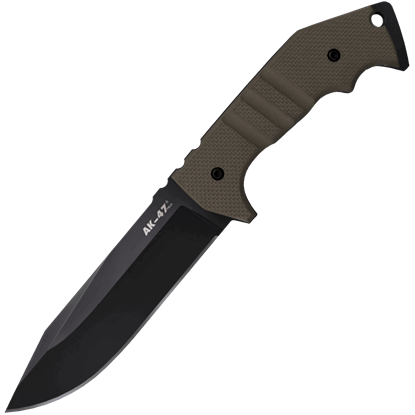 Featuring a slim profile and a versatile blade design, the Black M48 Stinger Combat Knife is a terrific addition to any knife collection and is well-suited for self-defense with its superb thrusting and slicing capabilities. 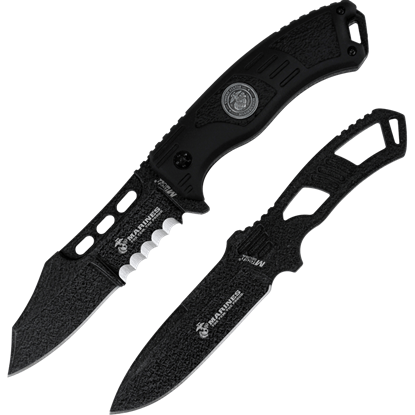 Make double the trouble with the Black Marines Grunt Knife. 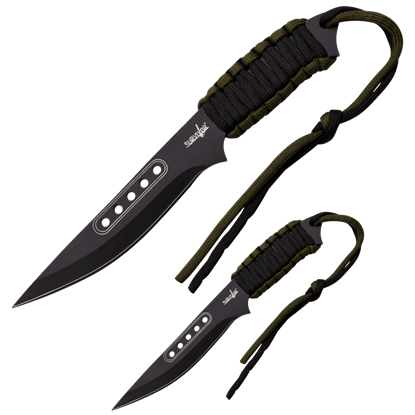 Including both a fixed blade combat knife and a throwing knife, both in black, this set will have you covered in both the short and long game. I'm real happy with the past few orders I've received and it turned out to be a great series of renaissance festival outings this year. Wanted to give you guys a big thanks for everything, I loved the outfits and gear!